The Assam tea festival is held in several parts of the state of Assam in the month of November every year. This Festival organized by Assam Tourism. The festivities in Jorhat are reputed during the tea festival in Assam. It is a unique experience being at the festival. The festival comes across as an exquisite blend of pleasure and work. Conferences are held to address the current issues of the tea industry and delegates from different parts of the world come to attend them. The celebrations during this festival may include a tour of the tea estates and gardens that abound the state of Assam. Cruising on the cold river waters is also a prevalent activity of the festival. A visit to the Guwahati Tea Auction Center in the city of Guwahati is also encouraged in the tea festival of Assam. The visitors may enjoy a quite evening with a warm cup of tea with various flavor from the tea gardens of the state that are reputed all over the world. Assam is the largest producer of Tea. Assam Tea Festival also brings along the time to enjoy some golfing in the 'Jorhat Gymkhana', which is the world's third oldest golf-club that is still in use. Ethnic fairs and food fests are held, tours are made to the various tea heritage sites, and people take part in a number of adventure sports, like rafting and angling. 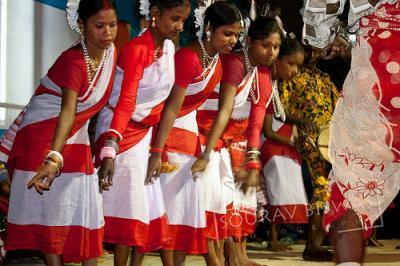 The beauty of the state and the spirit of the people of Assam come alive during the festivities. The Assam tea festival flaunts the specialty of the state of Assam, tea, which has earned its fame all over the world. The Assamese people are known for their hospitable nature and this is best revealed during the festive time.